Aliexpress is the best online global market for Chinese products. They are serving your every need since 2010. They have a wide range of products and that too at unbelievable prices. The best part of buying from them that they will not charge you a dime for shipping as it is completely free. A few sellers have their own warehouse in countries like US, Russia, Australia and Spain, saving you on taxes. 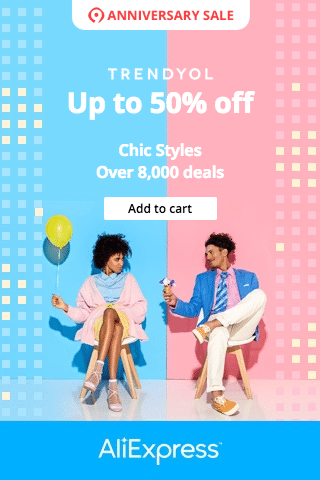 You will get a great shopping experience on Aliexpress without hurting your pocket. 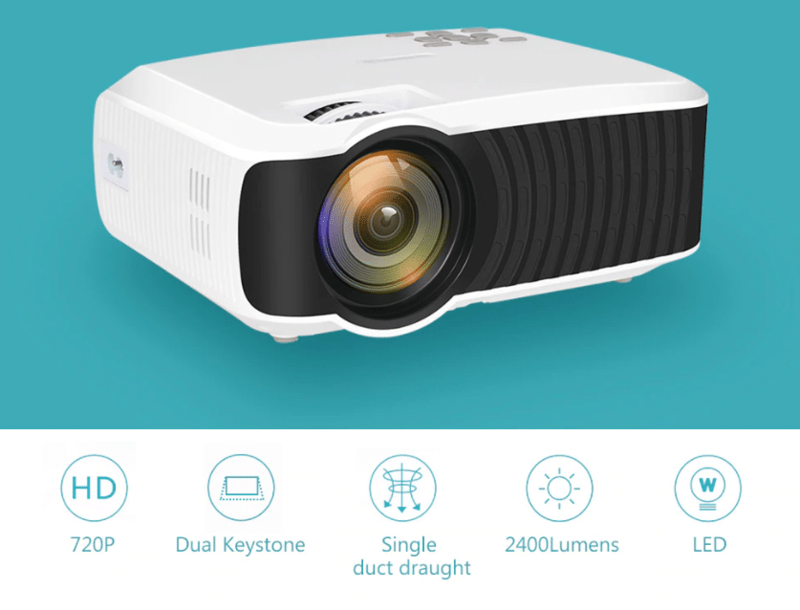 So, if you are in search of a home or office projectors, you can search on the Chinese portal and look for sellers that ship worldwide. 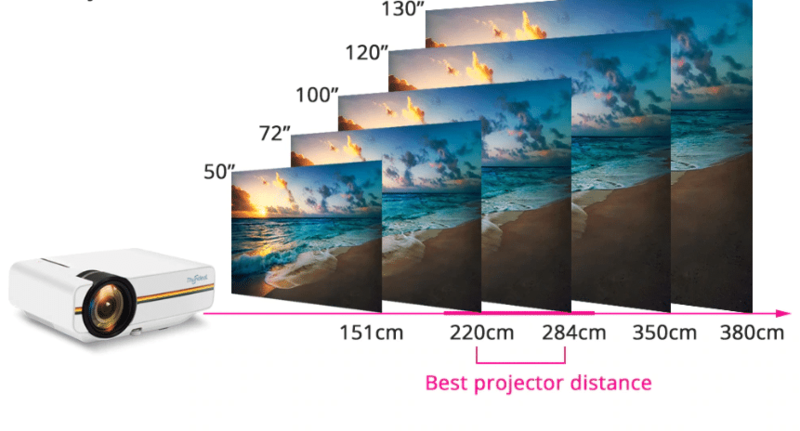 Here at BestChineseProducts.com, we present you the list of top 5 projectors in Aliexpress. Top three Chinese projector brands are also mentioned here. 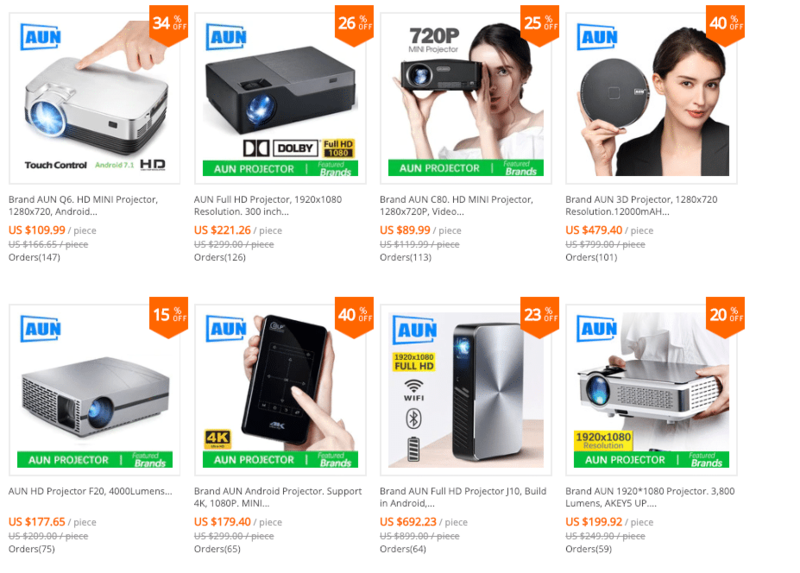 AUN Official Store: One of the best projector brands in Aliexpress, AUN enjoys a positive feedback percentage of 96.3%. They are associated with the website for four years. They have one goal in mind and that to be the best projector seller in the world. Their quality products and good customer service are paving the way for their success. You can get every item along with the projectors which can help you to create a home theater at your home. Now, you can enjoy some quality time with family and friends watching movies and family videos. TouYinger Official Store: Another amazing brand which is known for its big projection size, screenless TV, Environmental protection LED lamp, etc. You can always get the best quality product from them. They are associated with Aliexpress for seven years and have a positive feedback percentage of 96.9%. Ships from China, Spain and Russia. Thundeal Official Store: This company was founded in 2014, and since then they are ruling the market for projectors and other accessories which help you in creating a perfect home theater. The price of the products is quite affordable which makes it even more famous among buyers. The company enjoys a high positive feedback percentage of 98.7% in Aliexpress. Ships from China, US, Russia, Germany, Spain, Australia, Italy, Brazil and Indonesia. This full HD projector has features like WiFi compatibility. It has several ports for your help like HDMI, SD, USB, and AV. The product is also lightweight as it weighs only 1.2 kgs. The distance of projection which it can cover is between 1 to 3 meters. The setup process is very easy, and you could get the product at around $105.91 to $124.51. The delivery is done between 9 to 18 days. This LED projector also have WiFi compatibility, and it can be controlled by wireless HDMI, USB, or VGA. There are no multiple color options, and the product is available in only white color. The product is very light, and its weight is only 240 gms. The maximum resolution of the device is 1024 x 768. The capacity of the battery which it has is 4000mAh. The best thing about the projector is that you can also use it as a power bank. The price of the product is between $88.15 to $101.60. 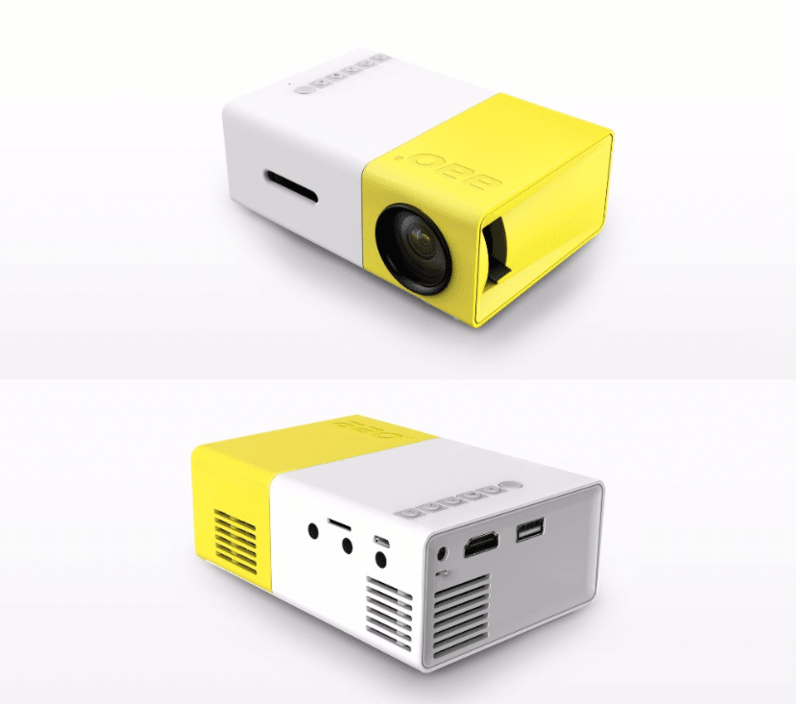 This is a mini portable projector, which can be used best for watching movies and video games. The resolution of the device is also very good; it is 1920 x 1080p. This project is one of the best selling products on Aliexpress. It costs around $35.87. You can expect the delivery of the product within 12 to 20 days. 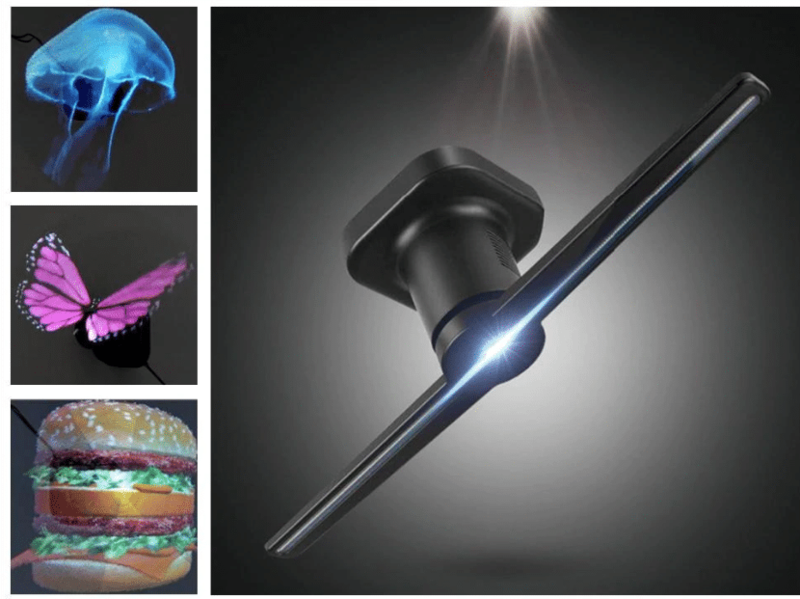 The digital content becomes more beautiful and alive due to the holographic technology of the projector. The maximum resolution of the device is 1920p x 1080p. The weight of the black colored device is 2000gms. The material used to create it is eco-friendly. You can have the product by paying $194. The delivery will be done within 12 to 20 days depending where your country is. 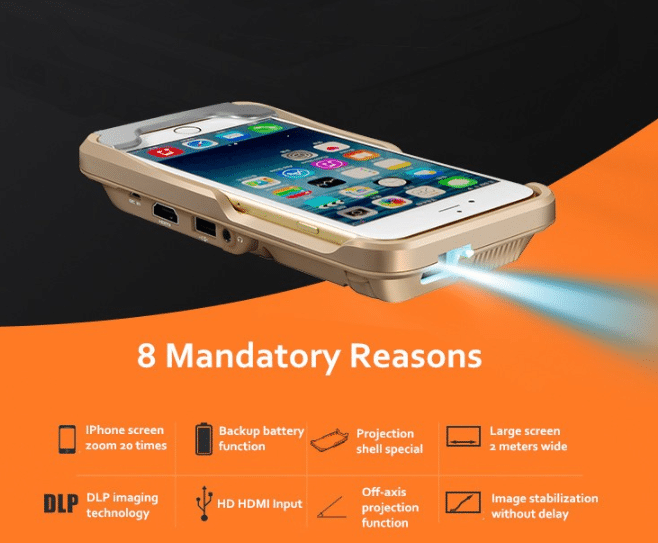 Another fine product in Aliexpress, the IMEGO Mini Projector is one of the very first projectors in the market which can be used with your iPhone and iPads. You can also connect iPod or MacBook with it using the adaptor cable. Android phones can also be connected, but they need a separate MHL cable for that. The maximum resolution of the device is 1920p x 1080p like most other projectors in the list. The price is on a high side. You can get it for $289 to $329. The product delivery will be done within 60 days maximum time. Electronic products you have to check if the electrical output matches. Most of the stores we have curated will ask about the electrical plugs of your country. Secondly, since this is high ticket item. You have to worry about your country import tax. We recommend you to go for sellers like THUNDEAL who can ship from a number of places. This allows you to ship faster and pay lower. Have fun shopping for the Best Chinese Projectors. We understand custom tax is an issue, most items curated above are from different warehouses. If you stay in Europe, you can order from sellers that ship in your countries.